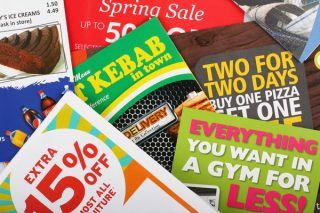 Direct mail marketing is an advertising method that involves using the mail service to deliver printed marketing material directly to your target audience. It works perfectly for small businesses, companies in a new niche, and businesses looking to engage customers and gauge interest. Here is how to maximize your direct mail marketing campaign. Use a variety of methods to craft a great mailing list. One method to build up a mailing list is to find a list broker and purchase a mailing list that has a similar interest in what you are crafting. Also, create a sign-up list on your website. You want to have a way for those that want to be part of your mailing list to sign up. Half the job of engaging potential customers is keeping them up-to-date on both your product and business. Mailing out a newsletter every other month helps to do just that. Make sure to keep your newsletter short, one page is best. This length makes it a quick read. It is important to create a way to track responses. Place a unique code on each mailing piece that allows you to monitor the recipient’s use of your offer or campaign. With tracking, you will be able to fine tune your future campaigns. If you want your direct mailing campaign to grow, offer your subscribers a referral bonus. One example of such gift is to provide a percentage off the next purchase a customer makes if they have successful referrals. Not only does this get you more subscribers but it is also likely to get you more sales. People like to spend money when a discount is involved. Maintaining the cost of producing and mailing your materials is important. You don’t want to use all the money you have available for just creating the brochure or postcard. Track how much you are spending so that you can amend expenses if necessary. You can also save money by testing your campaign before sending out all of the material and even before printing all of it. That will help you to catch errors before you produce and mail large quantities. For help with your direct mailing needs, contact Limelight Direct Mail Marketing at 919-452-5418.
previousHow Do I Develop My Mailing List?